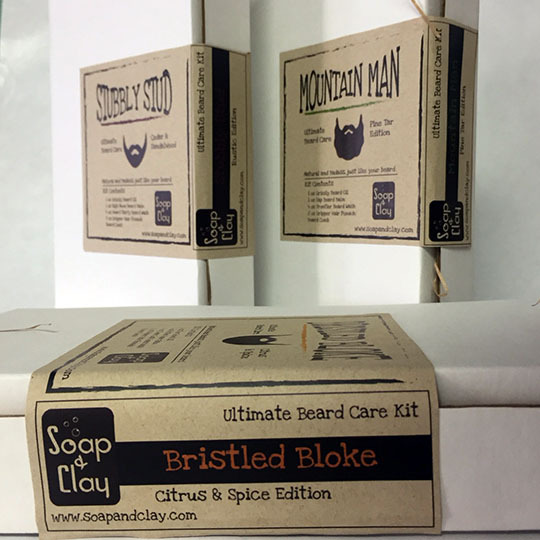 Home > Shop > For the Guys > Wet Shave Kit – Manscape Like a Pro. 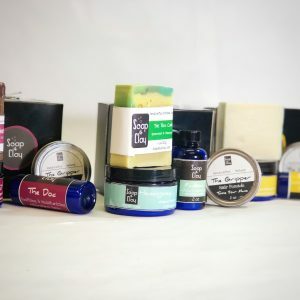 For the wet shavers of the world, we’ve got a kit for you! 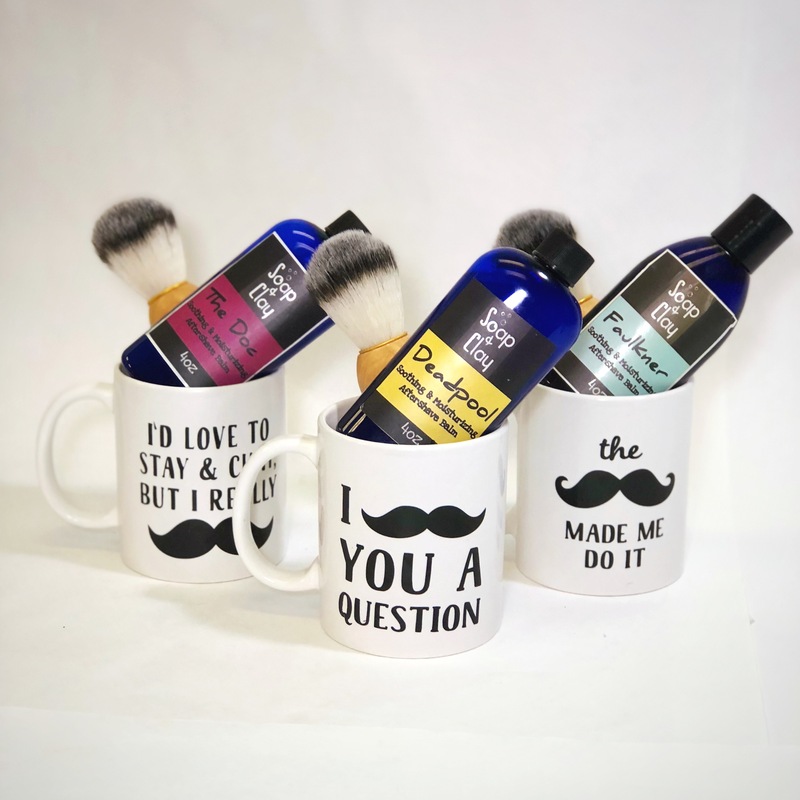 Complete with 5+oz solid shave puck, a badger bristle shave brush to work up that lather, and a full size aftershave balm, these kits will get you through 6 months of daily shaving. Which is pretty awesome. Just like you. See full product description below for ingredients and differences between the sets and choose your scent from the drop down menu below. Wet Shave Kit – For Serious Shavers. When it comes to shaving, every guy has their own routine. Some like it wet, applying a shaving cream or luxurious soap lather before sliding a super sharp blade across their face. Some like it electric, perhaps adding a bit of said shaving cream or luxurious soap lather (or even just water, but those men make terrible decisions in life) before buzzing their face. Some like it blade free, and we call those men “bearded.” For the wet shavers of the world, we’ve got a kit for you. We also have kits for the other shavers, but that’s neither here nor there. 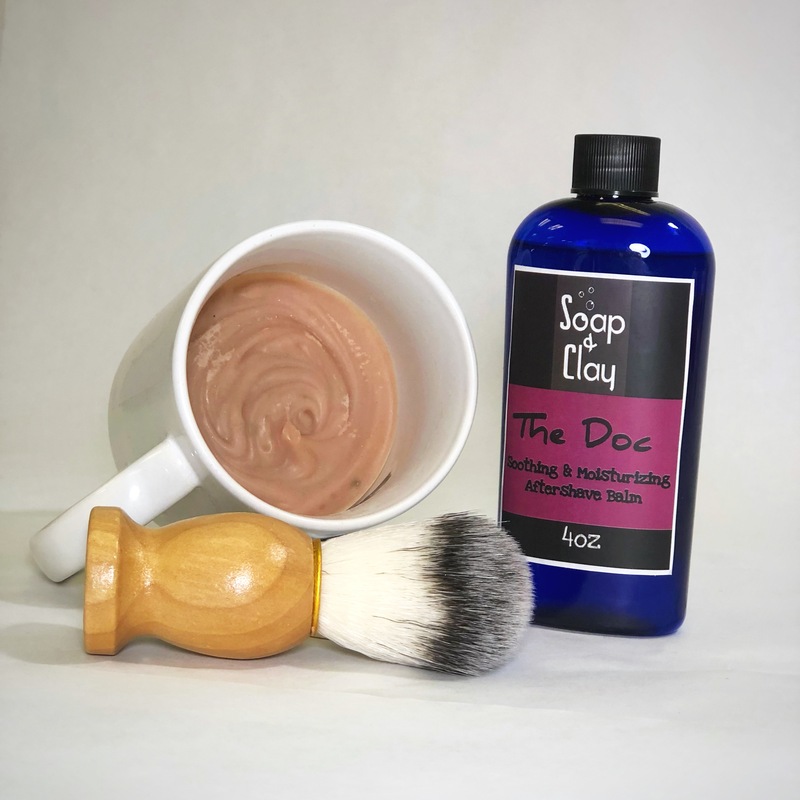 What it is: a wet shave kit complete with shave mug, huge shave soap (5+ oz! 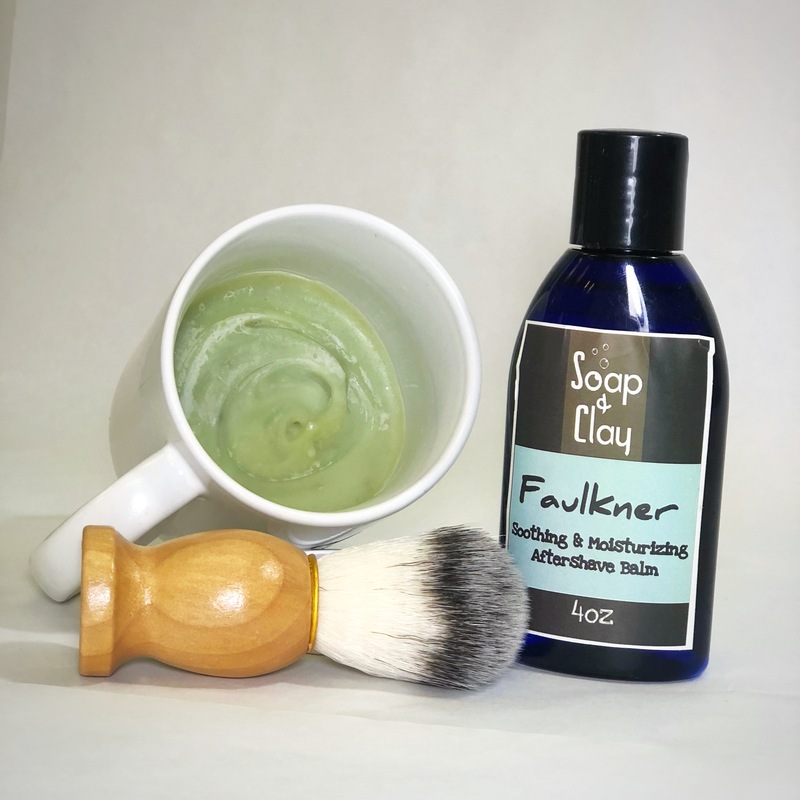 ), a badger bristle shave brush, and a full size aftershave balm. Why that’s awesome: some men love to shave. Others, not so much. Either way, you will be adulting so hard with this kit. Build your lather in the shave mug with the shave brush, apply it with said shave brush, figure out your own razor situation because Mrs. 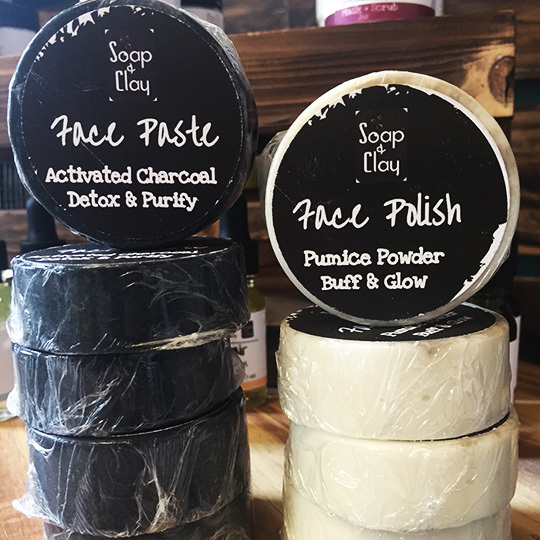 Soap & Clay is not allowed to play with sharp objects, and follow up with a moisturizing and pore purging aftershave balm. Step back and admire your handiwork. Now go be awesome. 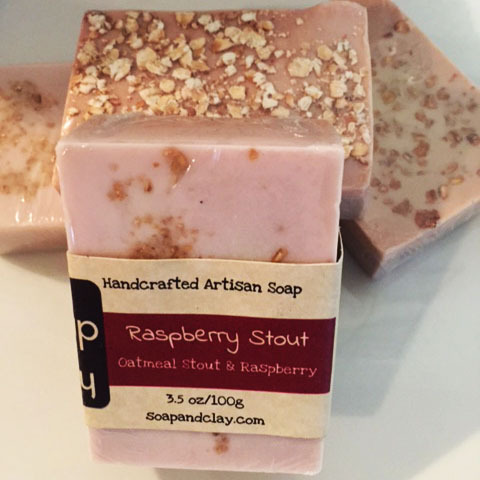 Woodsy – the soap is made with pine tar sap for the anti-inflammatory and antiseptic properties. 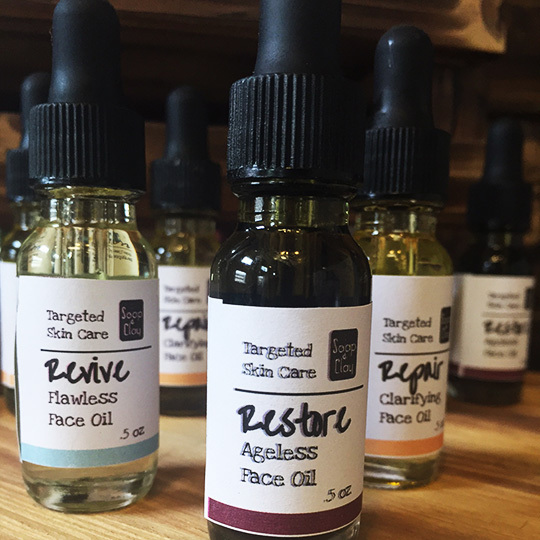 Great for sensitive skin and skin that easily gets ingrown hairs or shave inflammation. 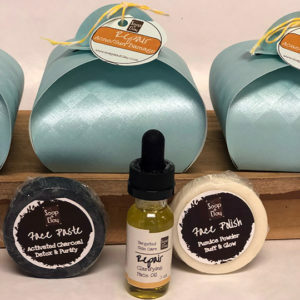 The kit’s scent is bright and woodsy with notes of juniper and sage. 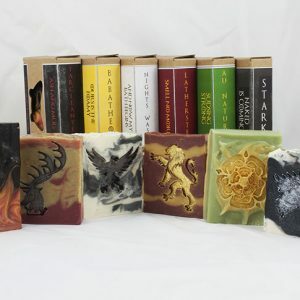 Rugged – the soap is made with beer, making it an excellent moisturizer and skin softener. The kit’s scent is rustic and soothing with notes of sandalwood and cedar. 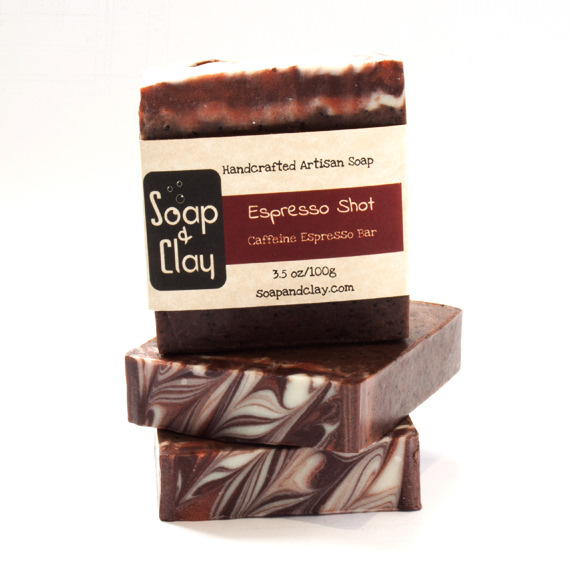 Energetic – the soap is made with activated charcoal, providing great skin detoxification and smoothing while shaving. Great for acne prone and sensitive skin. 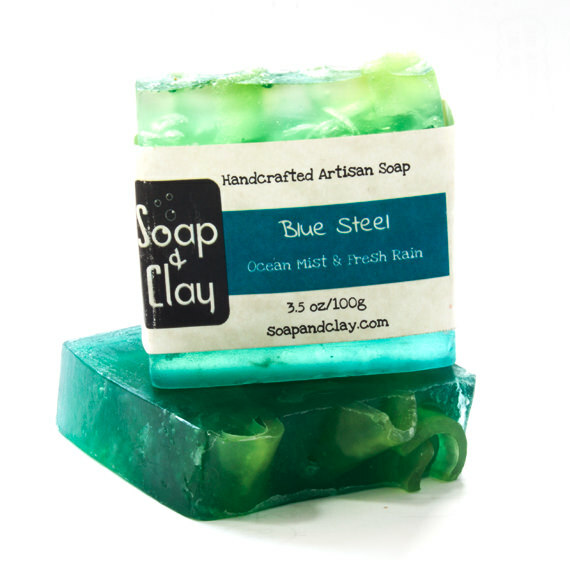 The scent is uplifting with notes of orange, bergamot, and clary sage. The aftershave balms contain witch hazel, botanical extracts, and moisturizing oils to clear pores of debris, smooth skin, and stanch bleeding. The mugs are all a bit different and have fun shave related sayings on them. Because everything Mrs. 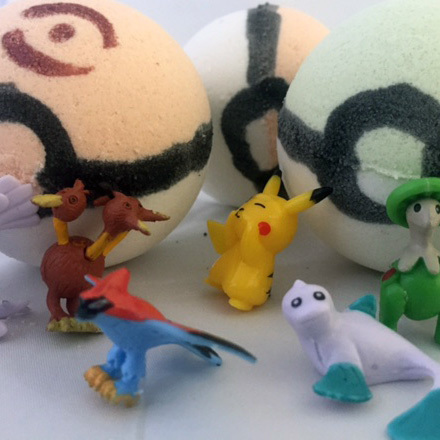 Soap & Clay does has to be a little bit fancy.